American Medical Laboratories, “AM LABS”, is America’s leading laboratory specializing in the detection of environmental impacts to human health. The environment in which you live, work or go to school in may contain multiple pathogens (factors that are disease causing to humans) i.e. fungus, mold, mycotoxins, environmental bacteria, mycobacterium, lead, asbestos, heavy metals, PCB's, pesticides, and a vast array of organic, or manmade toxins. Many environmental exposures have been misdiagnosed as Asthma, Fibromyalgia, Lupus, Multiple Sclerosis, COPD, Rheumatoid Arthritis, Chronic Fatigue Syndrome, Lyme's Disease, Leaky Gut Syndrome, Chronic Sinusitis, Chronic Bronchitis, and a vast array of other mystery illnesses. The reason being few healthcare providers ask patients about any recent changes in their environments, whether it be work, home, or school. Many times if asked, patients can link a recent change in their environment to the recent changes in their health. AM Labs is a testing resource laboratory that can help the general public and physicians alike, pinpoint environmental exposure to fungus, mold, mycotoxins and other toxic chemicals within the human body. AM Labs helps people link the exposure of toxic compounds in their environments, i.e. heavy metals, pesticides, fungus, yeast, mold, mycotoxins and bacteria to the direct causation of disease within the human body. The right tests can prove that you were exposed to environmental pathogens, and did contract a fungal infection, mold / mycotoxin poisoning (Mycotoxicosis), a toxic chemical exposure, or a bacteriological related illness from a contaminated environment such as your home, place of employment or school. One environmental exposure rapidly gaining public awareness is "Mold Sickness", caused by exposure to mold / fungi in indoor water damaged environments. 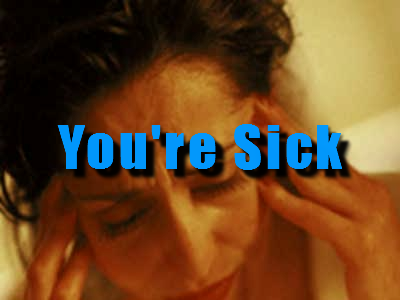 Mold sickness is real and is now at epidemic proportion within the United States. AM Labs has cutting edge technology in the laboratory testing for yeast, mold / fungi, mycotoxins, hazardous bio-toxins and man made toxic chemicals. 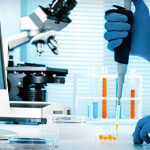 Getting the Right Medical Tests, the first time, is the first step in your recovery. Why Get Tested for Mold Exposure? The Right Tests Can Prove Mold Sickness Exists and you actually have Medical Damages. Unless you get the right tests you’ll never know what is in your body. The Symptoms of Mold Exposure and Mold Sickness are Commonly Misdiagnosed as Multiple Sclerosis, Fibromyalgia, Rheumatoid Arthritis, Lupus, Saciodosis and many other mystery or Inflammatory Illnesses. This is why it’s very important to be tested for mold exposure.